With the economy starting to show signs of improvement, more Los Angeles and Southern California business owners and entrepreneurs are wading back into the startup waters. There is high risk involved in any kind of new business startup, but also high potential reward for startups that are eventually successful. One of the biggest challenges faced by any new startup is doing “more with less.” Startups operate on limited budgets and have to make every dollar they raise count. So they usually operate with small, skeletal staffs where every person has to wear multiple hats. As a result, startups often don’t have a designated CFO — instead, the CEO/COO/President may also be wearing the CFO hat and performing the most important financial duties. It detracts from the perceived legitimacy of the company. The lack of a formal CFO is an indication that the company is still struggling to find its way, which can deter potential investors and hinder efforts to raise more capital. A high premium is placed on financial management in the startup and venture capital environment. It can increase the cost of externally sourced services like legal, audit and IT. Cash-strapped startups without the formal financial leadership of a CFO tend to pay a premium for such services. Decisions made by non-financial managers can lead to bad outcomes. Many startup managers and executives come into the startup world with more of an entrepreneurial than a financial background. While this is usually a positive when it comes to generating fresh new ideas and building strong sales and marketing teams, it can be a serious negative when these managers are making critical financial decisions that will determine whether the business succeeds or fails. 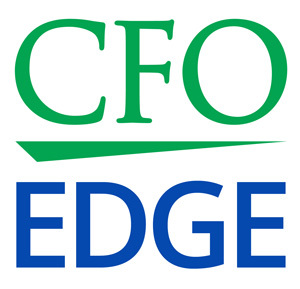 In short, having an experienced and seasoned financial professional with the designated title of chief financial officer — who is responsible for running the financial and operational affairs of a startup — is far preferable to not having a designated CFO. This provides a higher level of security, legitimacy and confidence for all stakeholders, including vendors, customers and investors. But how can a startup with a limited budget and skeletal staff afford to pay the six-figure compensation package demanded by a typical well-qualified CFO? One solution to this dilemma for startups is to hire an outsourced CFO services provider. Doing so will provide a startup with the high-level financial and operational expertise needed at a fraction of the cost of hiring a full-time CFO. It will also enable the startup to determine the value in the CFO role and decide whether or not it needs to hire a full-time CFO when its level of growth and financial resources allow it to. 1. Cost savings in many high-expenditure areas of the company — High-cost areas that can be immediately impacted include legal, accounting and audit services. 2. Having a “go-to” financial expert at their disposal — Not only can an outsourced CFO perform the entire suite of financial functions, but he or she also understands the ramifications of any course of action taken. This will result in a more robust management discussion — which will now include a financial component — on all strategic decisions. 3. Expertise in the accounts receivable and accounts payable cycles — These cycles have a big impact on cash burn at startups. With an outsourced CFO on board, decisions regarding AR and AP cycles can be blended with more strategic concerns. For example, contract negotiations can be done with these issues taken into consideration. 4. More successful fundraising and enhanced investor activity — The reality is that investors and lenders simply feel more comfortable dealing with a high-level financial person like a true CFO. Most of them have a financial background themselves, so everyone is speaking the same language. 5. The assurance that operating plans going forward have a sound rationale attached to them — The presence of an outsourced CFO on the management team will bring a non-emotional, objective voice to management decisions. This will give investors and lenders a higher level of comfort that they might not have without a CFO’s presence. One of the biggest challenges faced by any new startup is doing “more with less.” This often necessitates not having a designated CFO on staff. While the financial limitations of a startup are very real and understandable, not having a designated CFO can have serious negative repercussions on the business. One solution to this dilemma for startups is to hire an outsourced CFO services provider. Doing so will provide the startup with the high-level financial and operational expertise needed at a fraction of the cost of hiring a full-time CFO, while enabling the startup to determine the value in the CFO role.